This is SkinMedica’s gentlest peel. 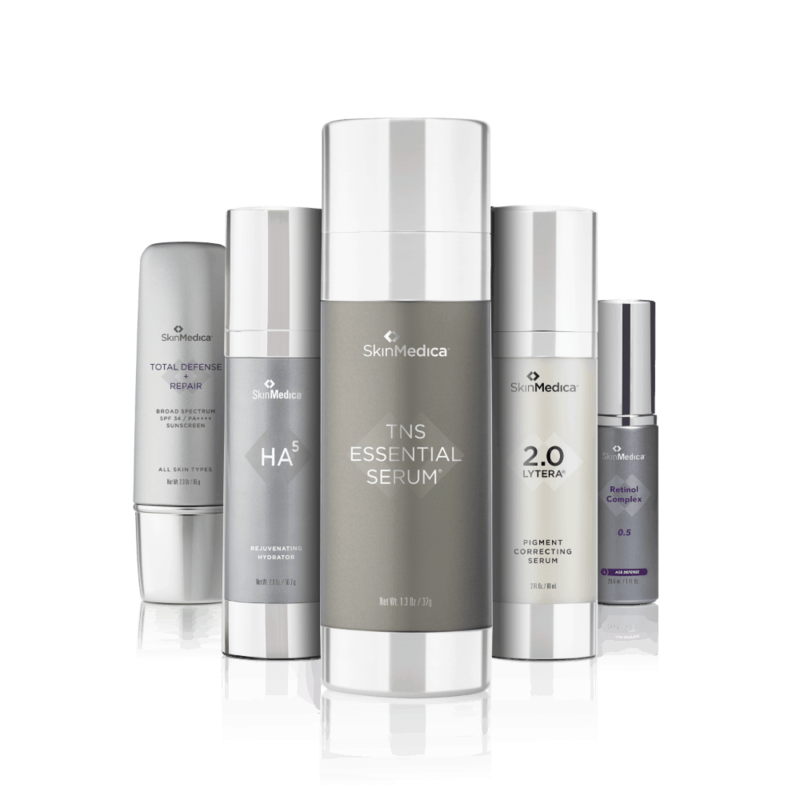 It will provide the brightening, tightening and glow that you desire if you have an upcoming event or just want to reveal the look of more youthful skin. INDICATED FOR: Mild skin conditions such as sun-damage, fine lines and wrinkles, and pigmentary irregularities, first-time chemical peel patients or patients looking for a gentle superficial peel. RECOVERY TIME: Typically, patients experience no downtime and no visible peeling. 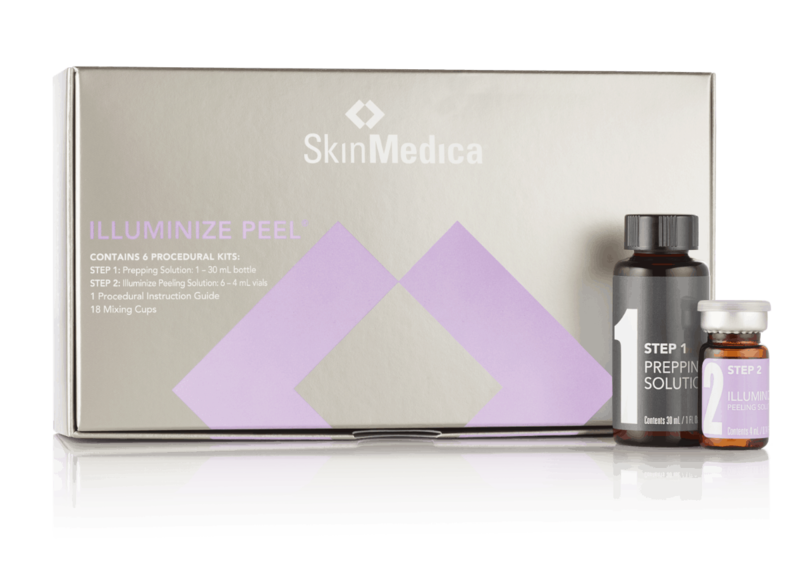 This is SkinMedica’s most popular peel. It is suitable for all skin types and produces predictable and noticeable results. INDICATED FOR: Patients with mild to moderate skin conditions including sun-damage, fine lines and wrinkles, acne, acne scarring and melasma. RECOVERY TIME: Typically, patients experience mild to moderate peeling approximately 2 days after the procedure that lasts about 2-3 days. Rejuvenize Peel is the deepest of the SkinMedica Peels, penetrating into the epidermis to produce significant results with minimal irritation. INDICATED FOR: Moderate to severe skin conditions including sun-damage, fine lines and wrinkles, acne, acne scarring and melasma. RECOVERY TIME: Typically, patients experience moderate peeling approximately 2 days after the procedure and can last up to 5 days. FREQUENCY: Can be repeated every 4-6 weeks. For best results, complete a series of 3-6 Vitalize Peels.